Need an alternative to Bullet Journaling for Back to School? These stylish academic planners are great for students, teachers, and college academics. You can even grab last-minute printable versions. Staying on top of classes, sports, after-school clubs, and social activities is difficult, even with the perfect organizational system. Imagine how much harder it can be if you’re using the wrong planner system, or (*gasp*) no planner at all. Bullet Journaling is a great fit for me, but I know that what works for me doesn’t always work for other people. Busy students sometimes need clear, structured planning systems that don’t require a lot of prep time. I love my journal, but I’ll be the first to admit it requires some pre-planning (I sound like one of those “retired tire” eTrade commercials: “pre-planning my planning to plan a good plan…”). Ok, on to the planners! No doubt about it: Planning isn’t a one-size-fits-all experience. So, I’ve gathered a little something for everyone in this post! Consider how much time you have to prepare for the school year. Some of these are Amazon finds (free 2-day shipping! ), but you may need more time for the custom Etsy planners. If you’re really in a hurry, check out the printable options. 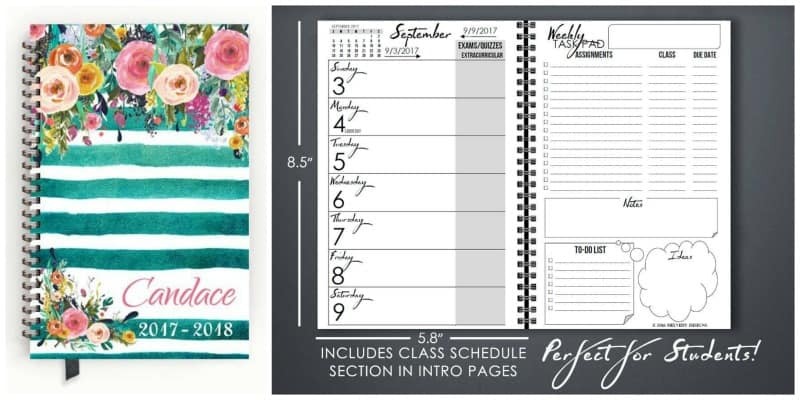 Some of the prettiest planners on the market right now are from Bloom Daily Planners. They are gorgeous, inside and out. 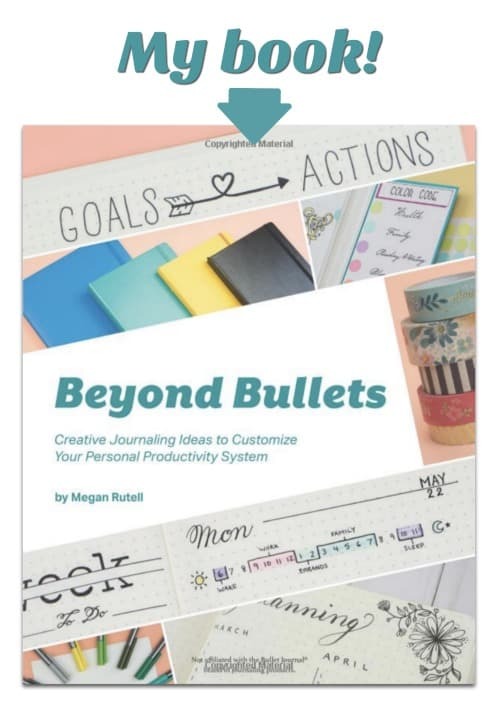 They also include features like vision boards and goal-setting pages, which elevates them from simple little schedule to full-blown life planning tools. They’re available with January or August start dates. 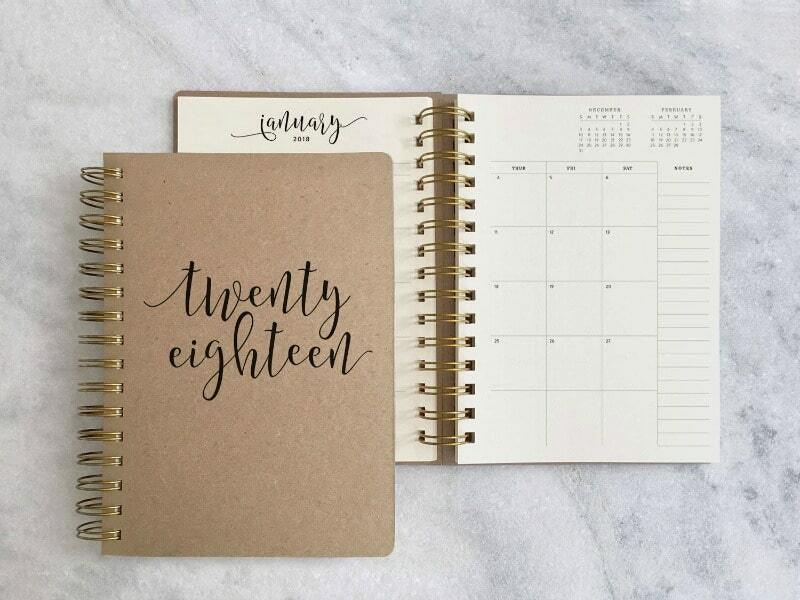 This kraft paper planner from FavoriteStory incorporates swooping hand lettered headers into simple layouts. Plus, the kraft paper cover is the perfect excuse to break out the opaque Gelly Roll pens. It’s so unassuming, but so full of potential. 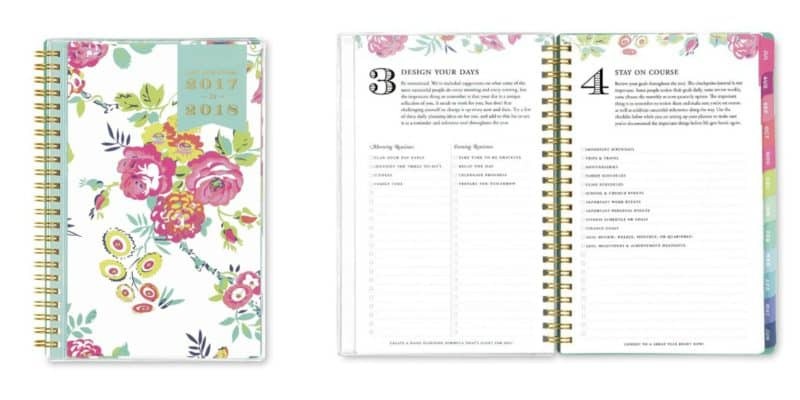 For something a little more floral, check out this custom planner from MelvedyDesigns. The shop lets you choose from three different layout options, including academic, classic, and FlexGrid (great for meal planning or workouts). Since you can pick your start month, too, you won’t waste a single page. I know how it goes. You can’t let go of those summer vibes, so you procrastinate buying school supplies until the last…possible…second. Once you see these cute printable pages, you may want to dive into the school year. 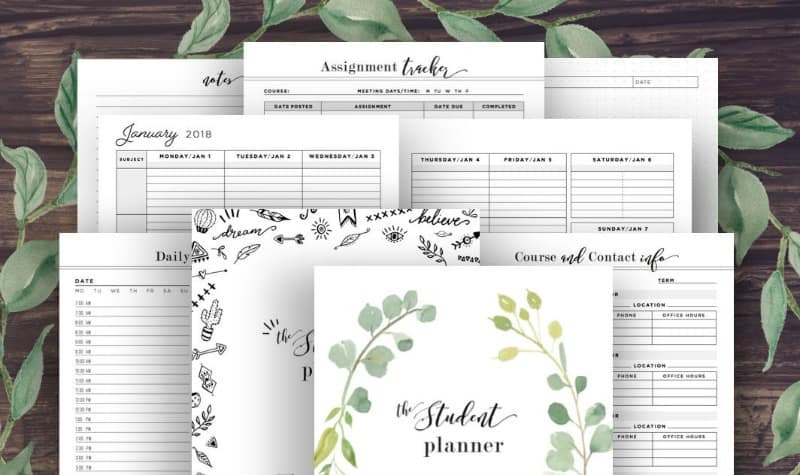 PrintablePineapple designed their stylish academic planners with college students in mind. 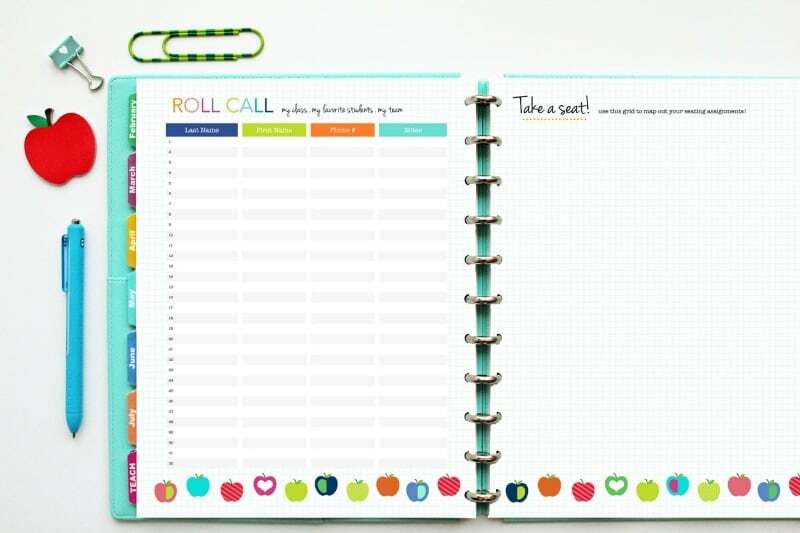 Since you control which pages to include, you can build your ideal planner and print it on your favorite paper. Win, win! They also have one for teachers. 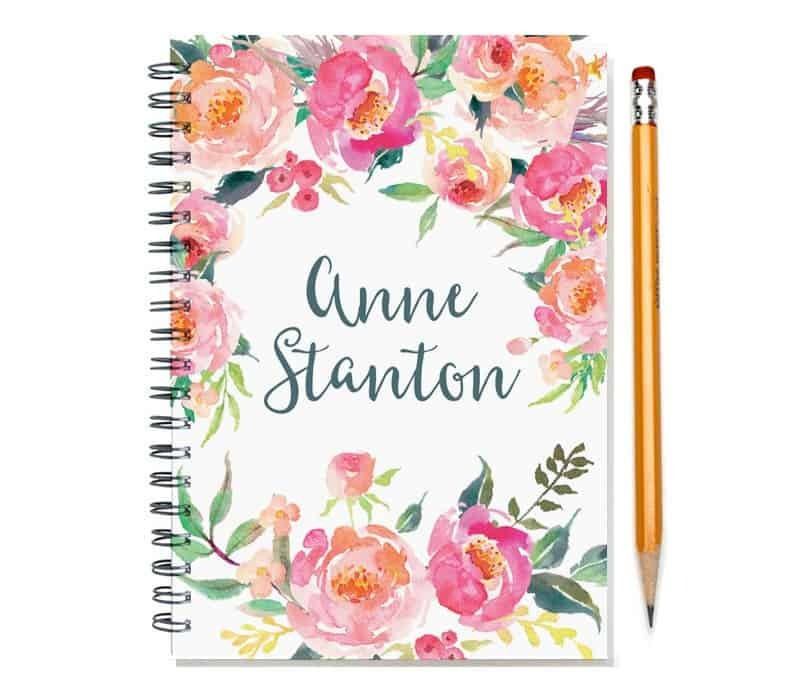 This gorgeous watercolor floral planner from GreenChairPress is another Etsy gem. It’s elegant on the outside, clean and simple on the inside. 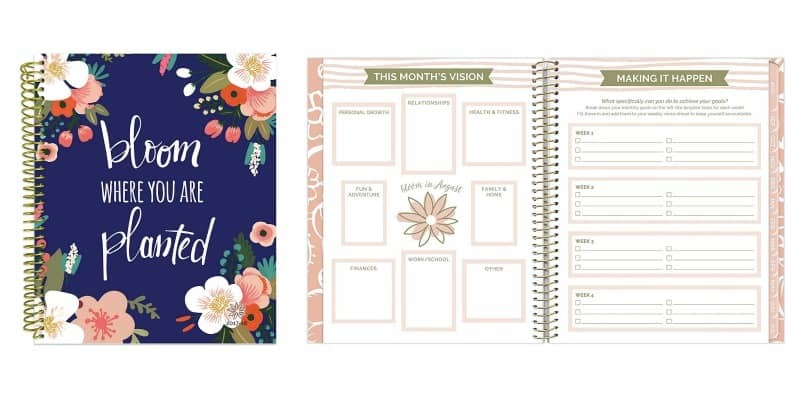 Of course, you also get to choose your start month with this planner. 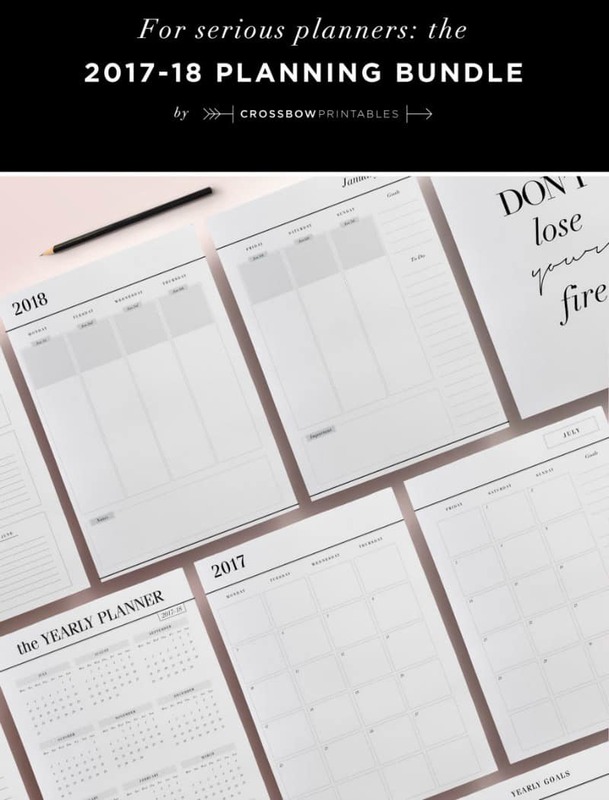 If simple layouts are your thing, give this planner a try. 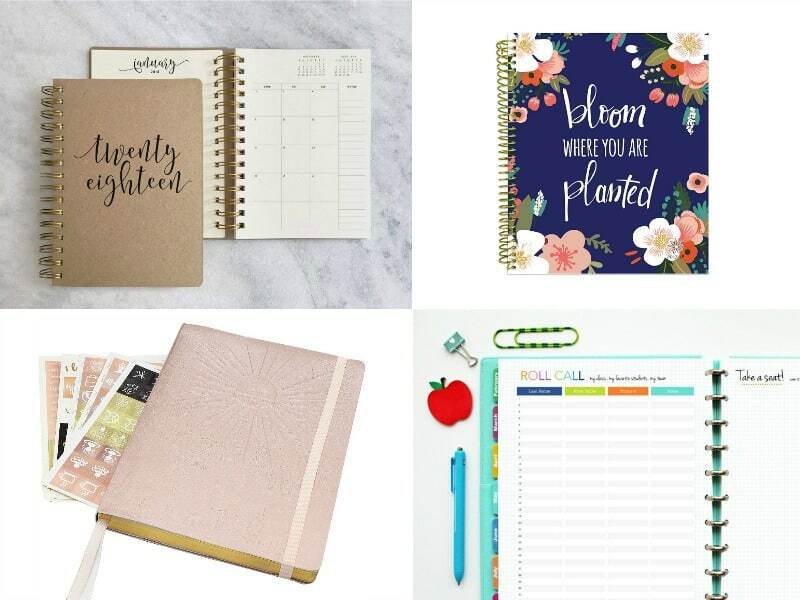 So many of my friends can’t stop talking about their Passion Planners! Seriously, who talks about notebooks all day? Oh, wait. I do. Hey, man, stationery is cool, and you know it! I really do understand why everyone raves about the Passion Planner. It’s simple, practical, and cuts straight to the core of what motivates you. Although it’s not specifically designed for students, it’s adaptable to pretty much any lifestyle. This classic black version is undated, so you can start whenever your academic year begins. 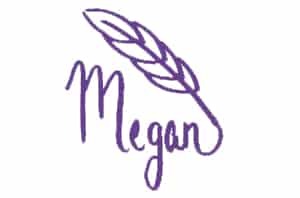 CrossbowPrintables always has classically stylish products. Their distinctly minimal designs keep your planning from looking cluttered or chaotic. No frills. No distractions. You know that friend who can’t stop talking when you’re trying to study? Yeah, this planner is not that friend. The Happy Planner (from me & my BIG ideas) is one of my favorite planner options. 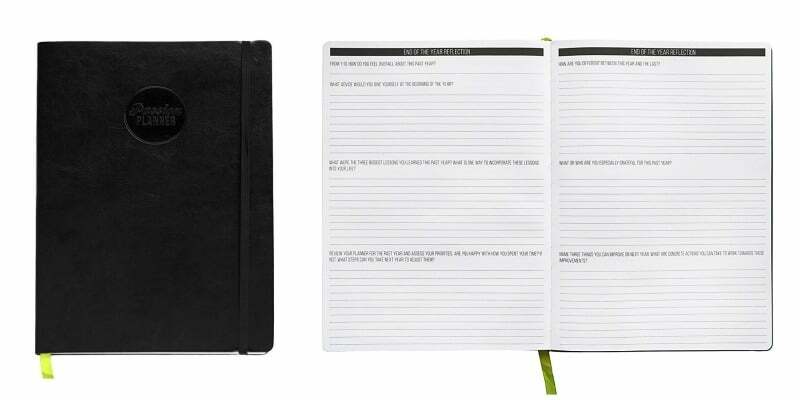 It’s disc-bound, so it’s flexible for people who need a hybrid planner-journal system. Just use a disc punch to add your favorite paper, and you’re good to go. FYI, There are 3 sizes to choose from: BIG, standard, and mini. Teachers may prefer the BIG size for the extra writing space, but students toting backpacks full of books may be more at home in a mini. The Laws of Attraction Planner was Kickstarted into existence. The concept is similar to the Passion Planner, but it boasts some unique pages that piqued my interest. 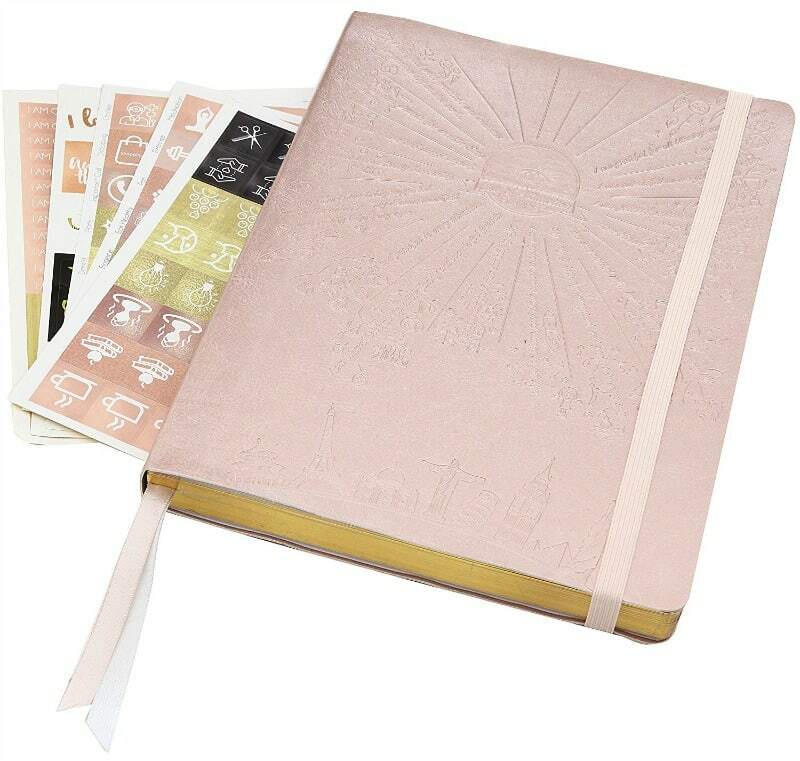 Rose gold lovers will be all over this planner! 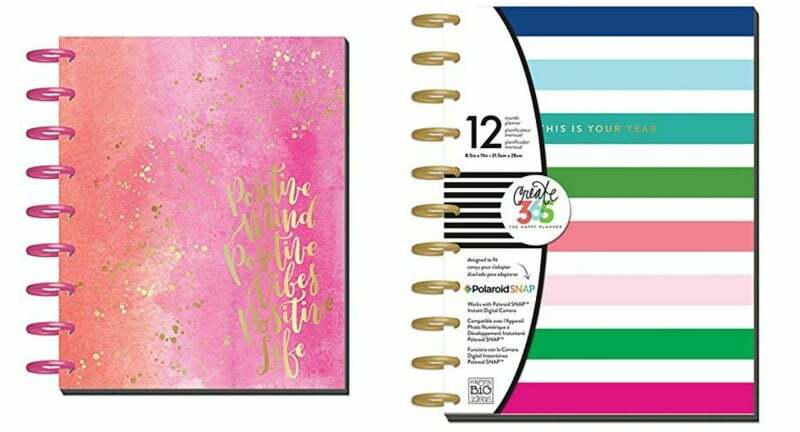 Day Designer is another brand that has pushed basic planners to new heights. 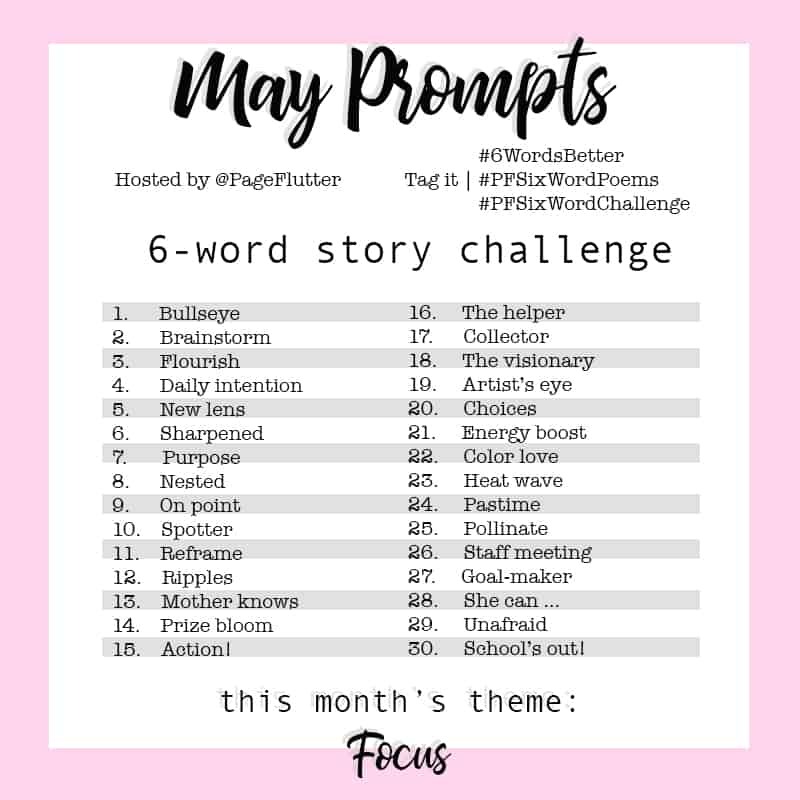 This little floral number is structured around monthly and weekly planning, and it includes a task list for each day. It also includes more general life-planning pages for students with big ambitions. Plus, it’s small enough to be practical in a backpack. How do you plan your academic year on paper? Are you a strict Bullet Journal kind of person? A hybrid system? Comment below and share your tips for the most organized school year EVER! I’ve tried a Day Designer myself, but am really thinking about the Passion Planner! I also love the Maybooks planners, although the notebooks don’t hold up as well as I would like to daily use. I love their monthly layout + dot grid for dailies/weeklies!